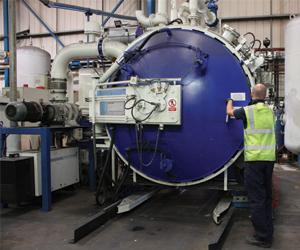 Hauck Heat Treatment (Cheltenham) plant has been the site of a heat treatment company since the 1950’s, and has a wide customer base dealing with Aerospace, Automotive and Precision Engineering companies across the UK. An experienced team of heat-treatment and Metallurgical experts offer technical advice on the wide range of processes the plant and group offers. The plant is supported by a team of highly trained and motivated staff and backed by a comprehensive logistics team to ensure the fastest turnaround for all types of heat treatment.